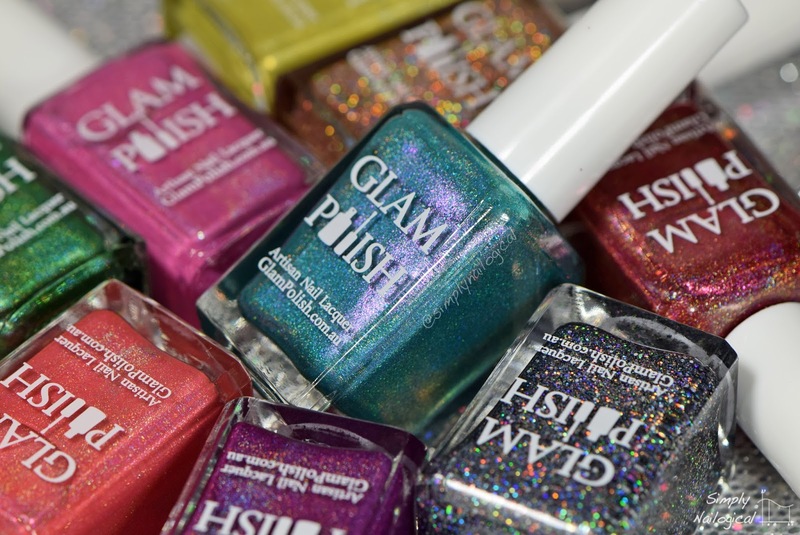 Glam Polish is starting off the new year with a vibrant new collection full of of colourful gems inspired by the musical Hairspray! 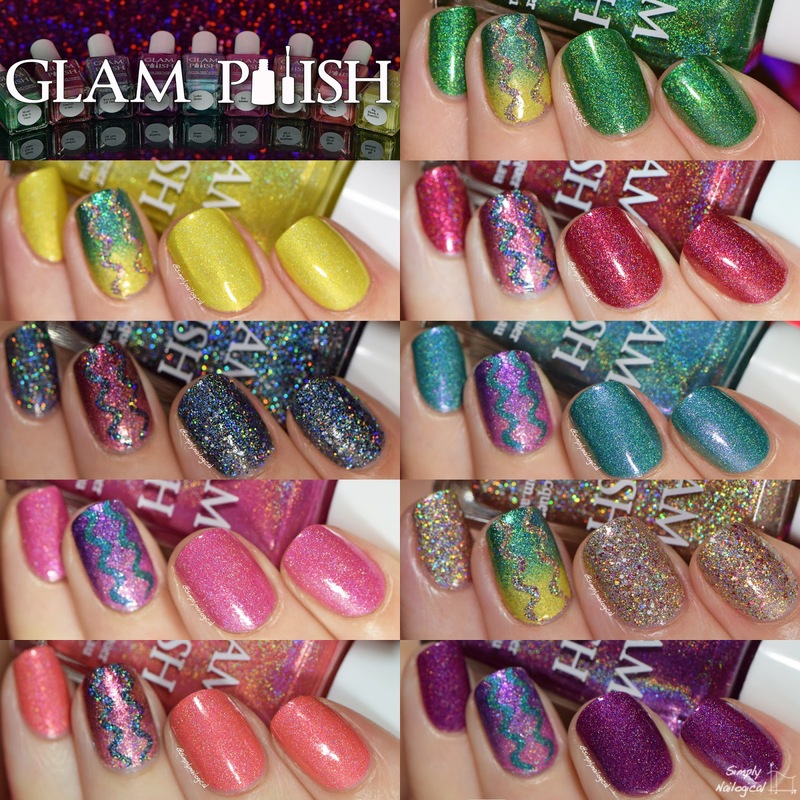 Every one of these 9 new rich and luxe polishes are holographic and full of shimmer and glam. 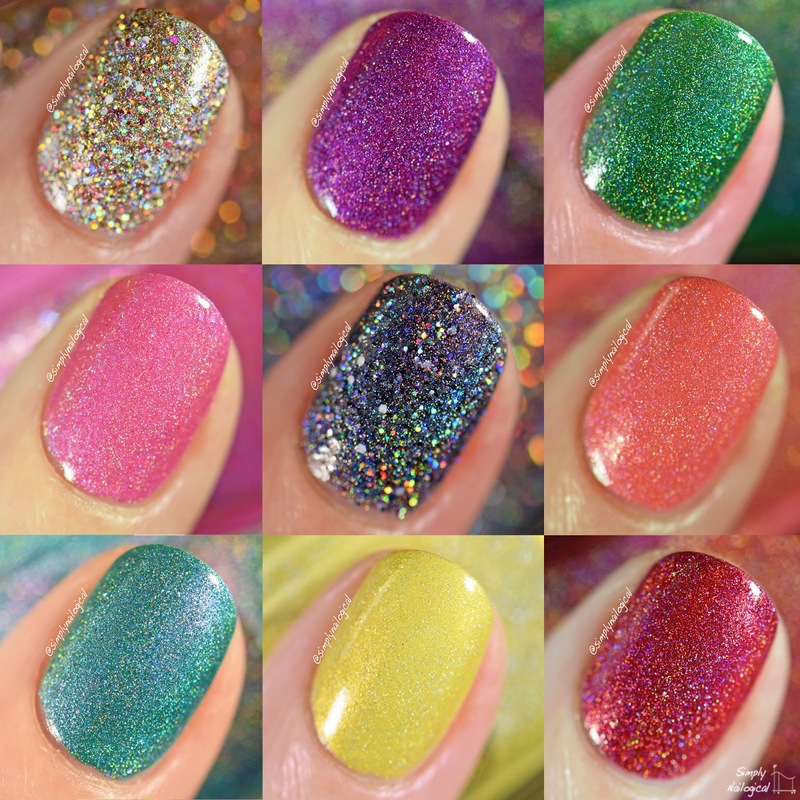 I personally love this collection because it is not holiday or season-specific, meaning that you can wear all these colours and combos of them any time of the year! 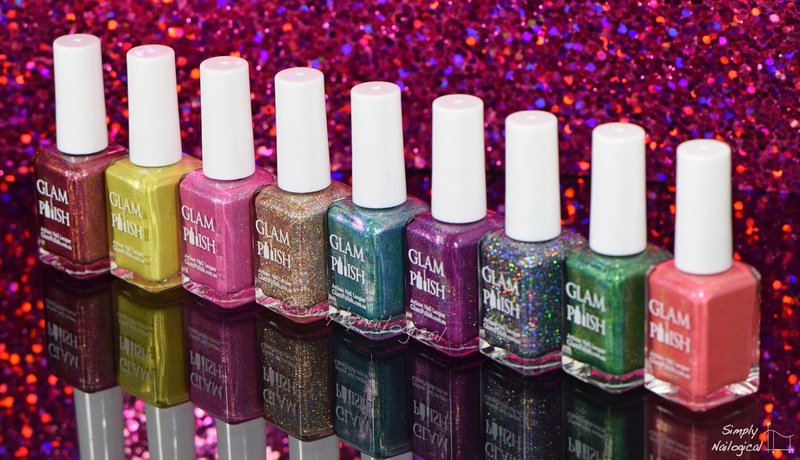 This limited edition collection will be available for purchase on January 8th directly from Glam Polish (based in Australia), or one of their international stockists. If you're in Canada or the US be sure to check Harlow & Co.'s website first, they will be stocking them in late January! Let's start of with some bottle shots, yeah! 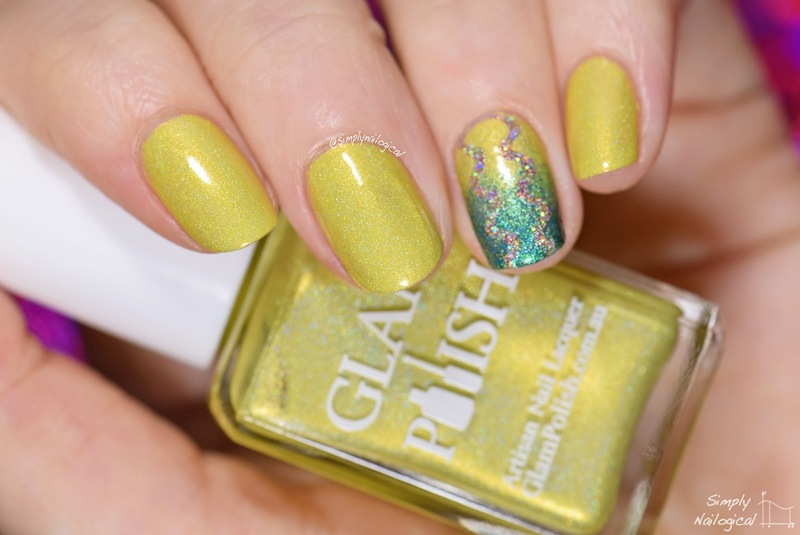 I applied two coats of polish for each swatch nail. 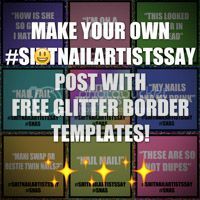 I used wavy squiggle nail guides from Beyond the Nail to create the accent nails. 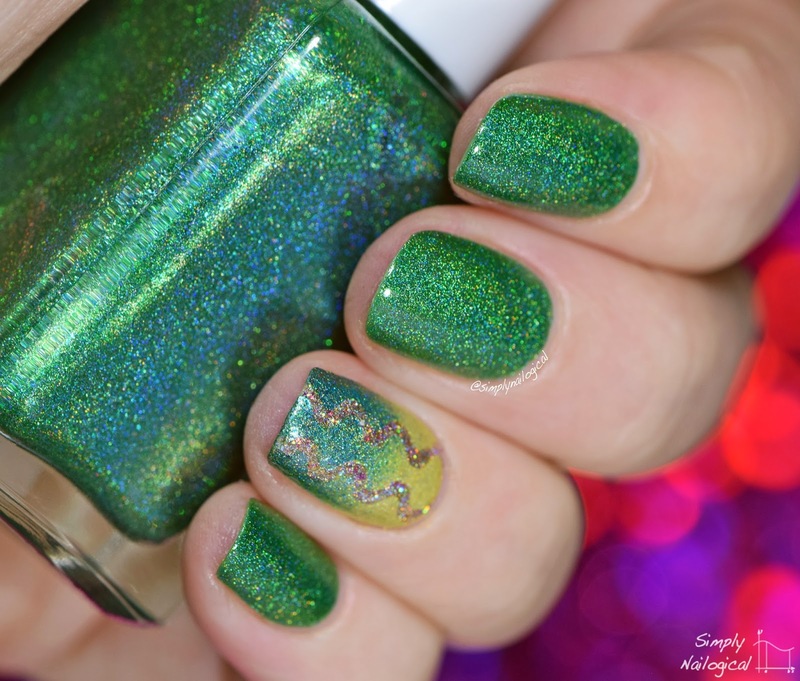 Check out the full mani I did using these nail guides a couple months ago here. 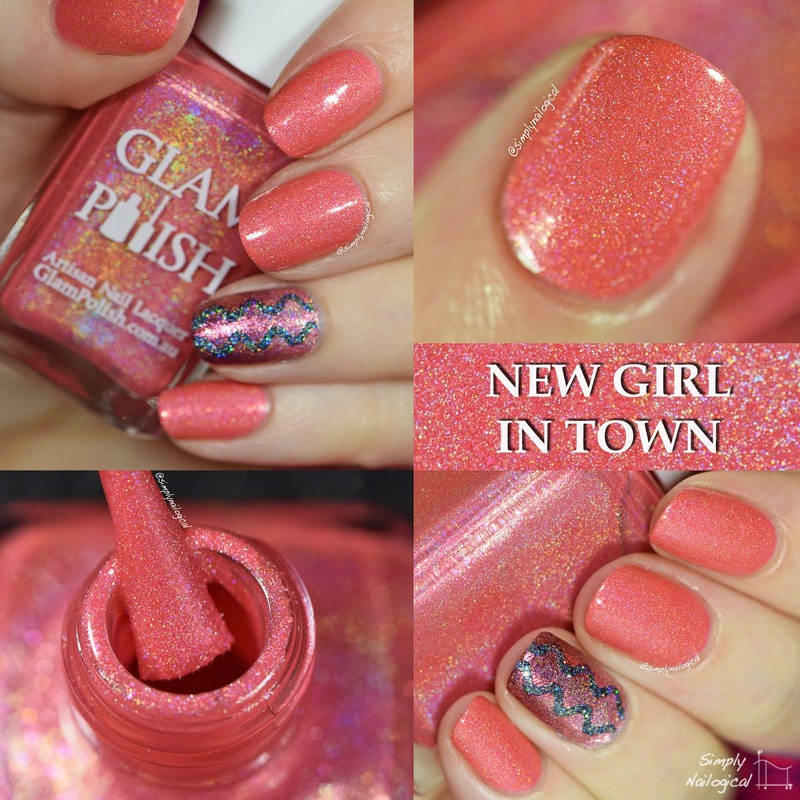 First up, New Girl in Town, a gorgeous vibrant coral holo that reaches full opacity in two coats. 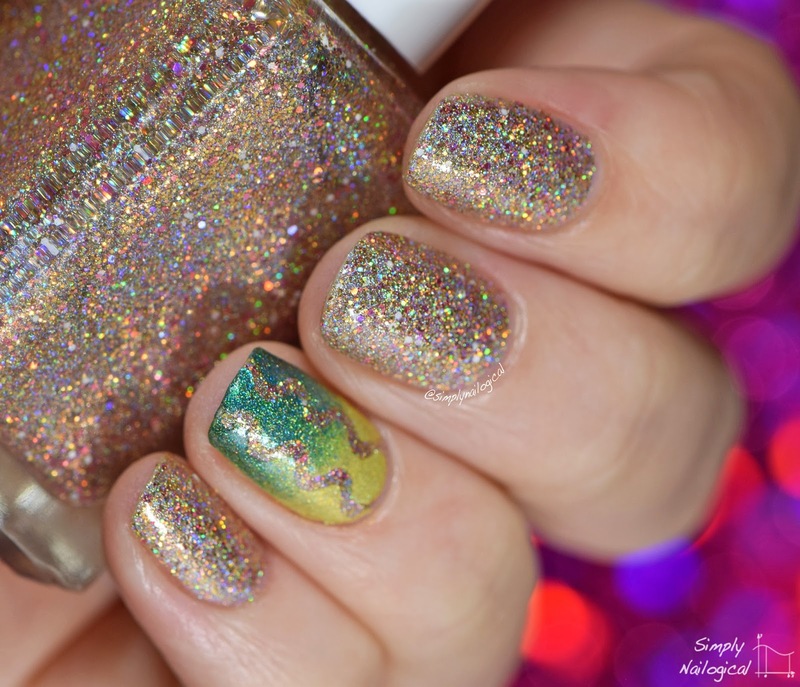 I have to say that for all the creme holos in this collection (7), they were all completely opaque in just two coats. Amazing, like buttahh!! 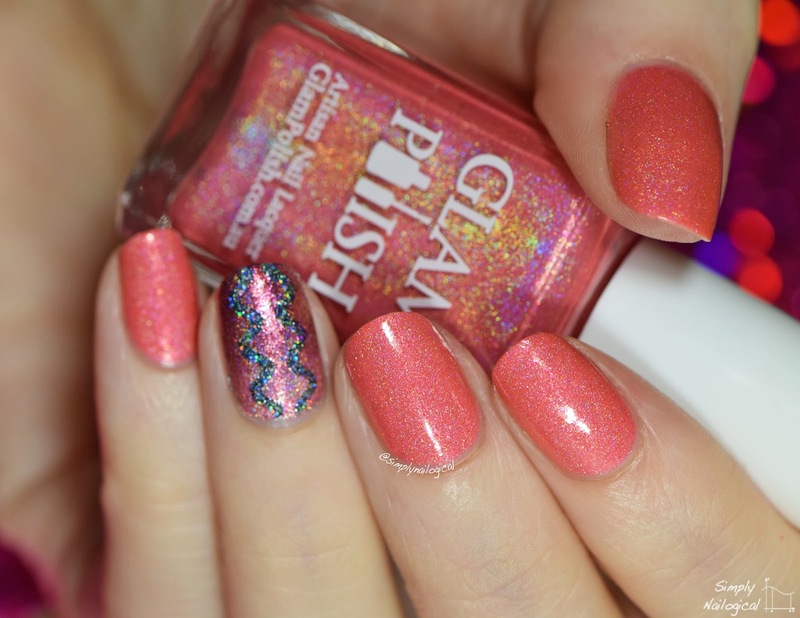 This peachy-pink-coral-salmon-whatever-shade-you-wanna-call-it is scattered with holo particles and rose and peach glass flecks. 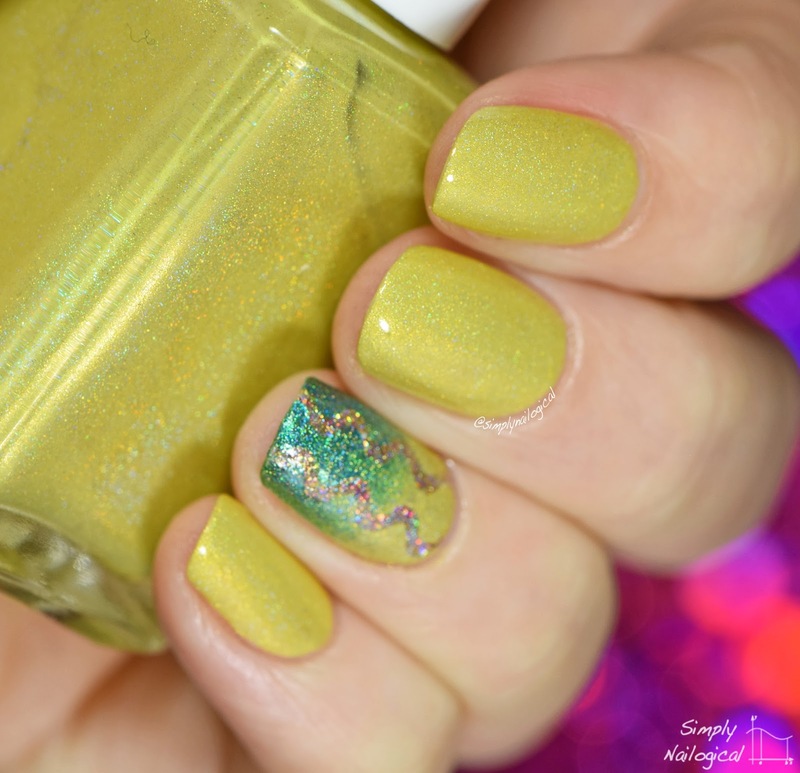 Check it out, the grass is actually greener when it has holo! 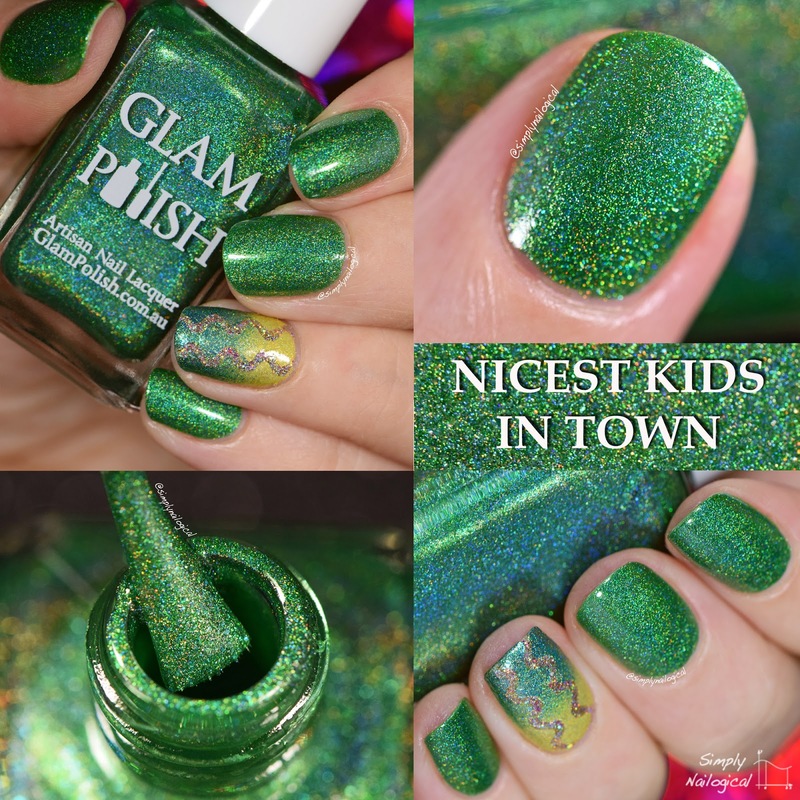 Nicest Kids in Town is a vivid emerald green shade with holo, shimmer and turquoise flecks scattered throughout. 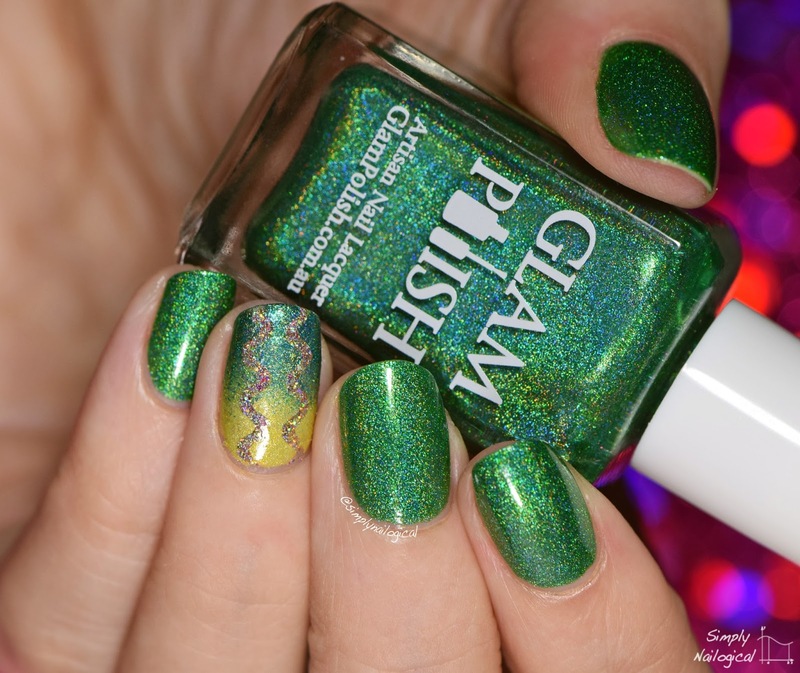 Such a rich jewel-like tone, this is a staple rich green holo shade every nail polish lover needs in their collection. Welcome to the 60s indeed! 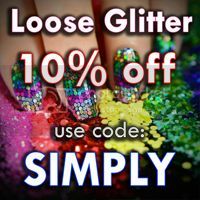 This polish is an extremely multi-dimensional one, with a base packed with gold ultra holo glitter and a mix of matte white and holographic pink microglitter. Cray cray! 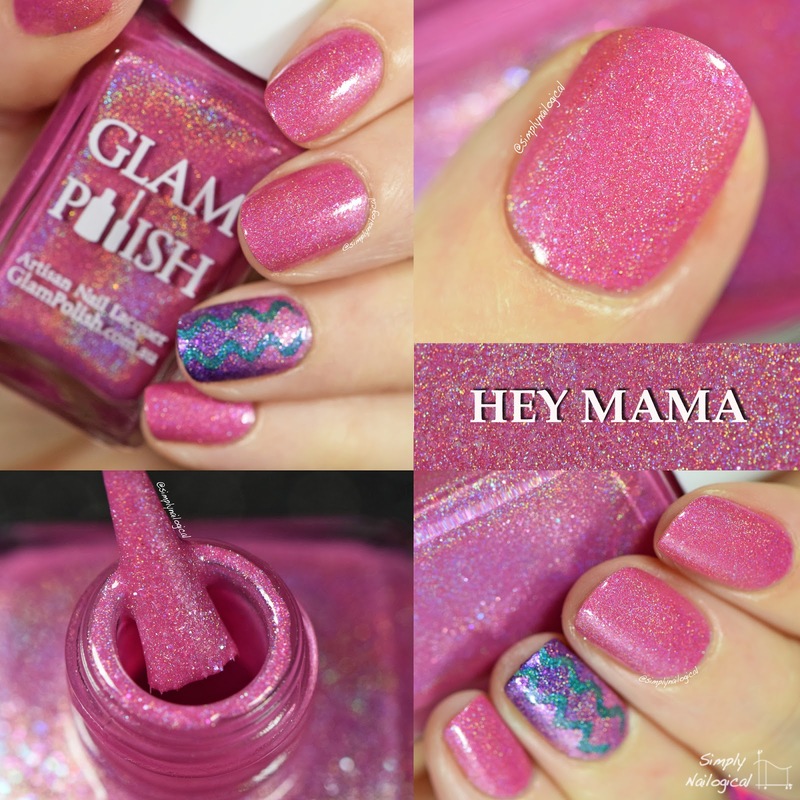 The white and pink glitter are a nice surprise and set this polish apart from the rest of the collection. 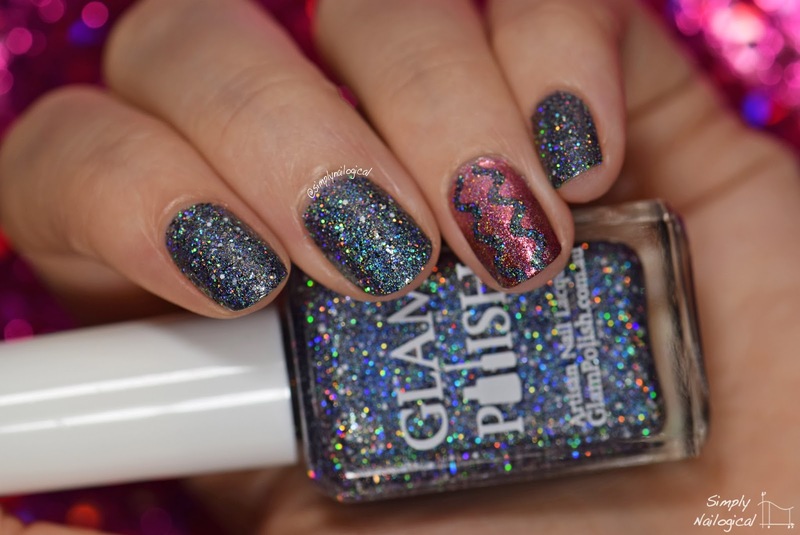 Like the others, this is just two coats, though one must be a tad careful with the application with this glitter polish (and the black one) as they need a bit more attention to disperse the glitters evenly across the nail. Oh mahhh gawwwwd this red is soooo sexaayyyy. 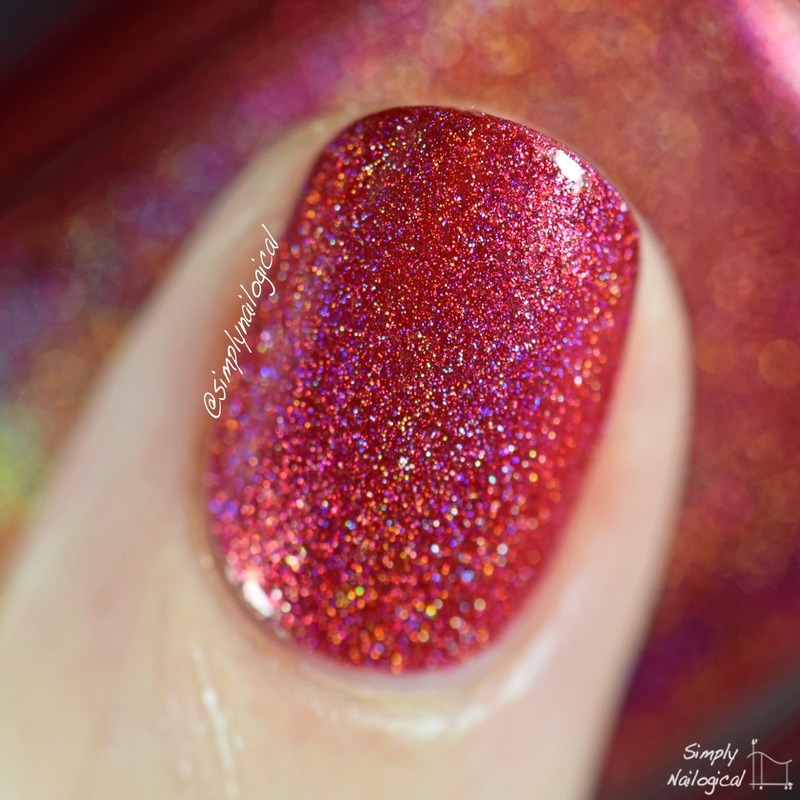 Timeless to Me is a bright crimson-red holo with pink shimmer and peach glass flecks. I own very few red nail polishes (too basic for me I guess), but I LOVE THIS ONE. 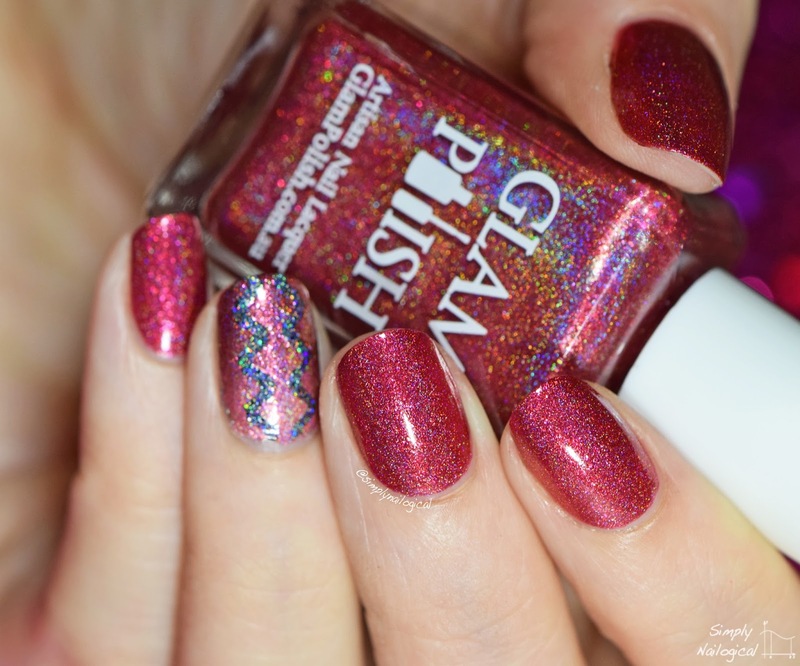 It's exactly what I'd look for in a red polish to give it that extra something special - holo of course! 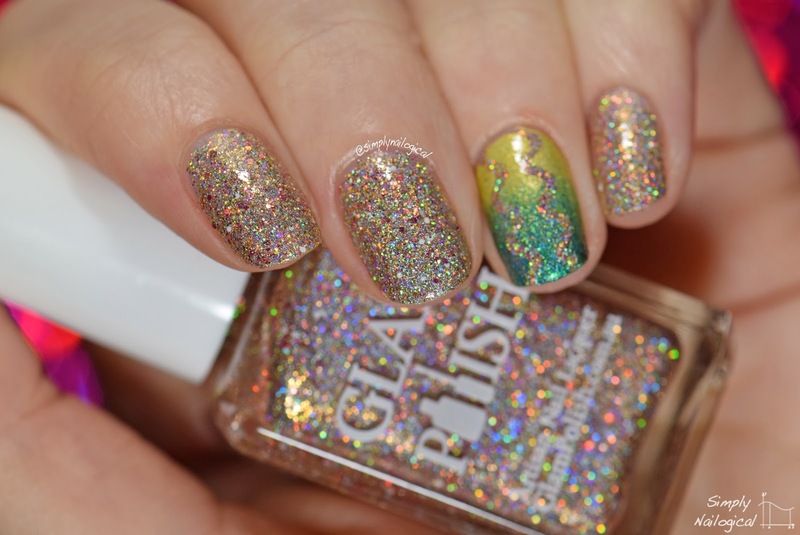 This would be a perfect polish for Valentine's day, am I rite?! Yellow, what not?! 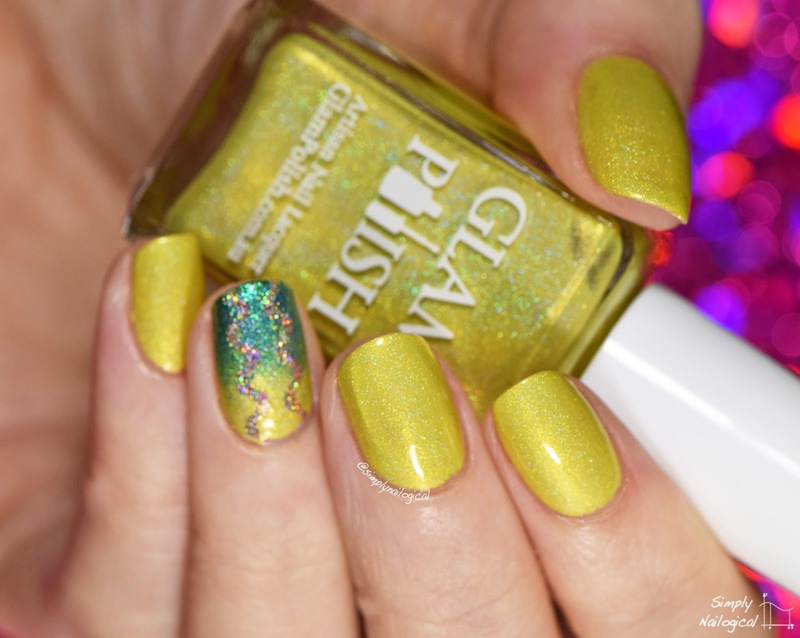 It's not often that you see yellow holos, but Big, Blonde & Beautiful is a nice and unique way to lighten up this collection with some shimmering lemon-yellow sparkle. 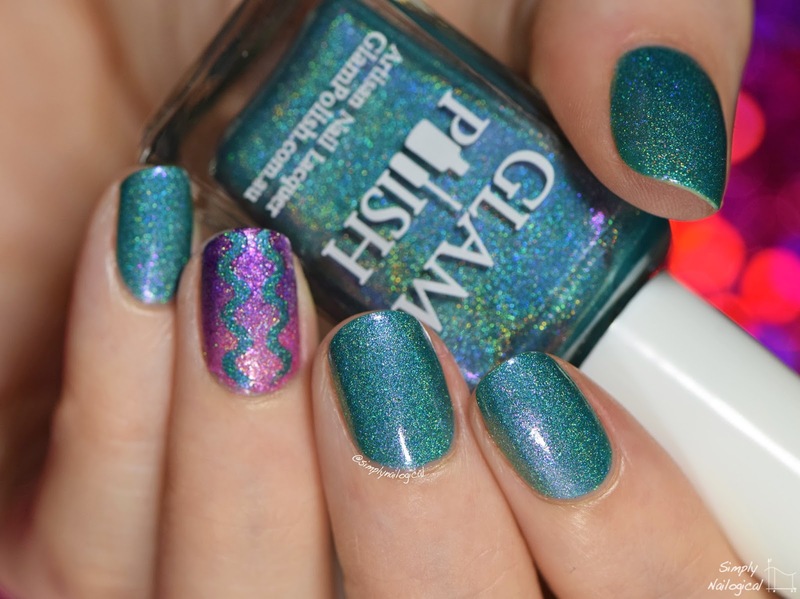 In all honestly I don't see myself sporting this on its own as it doesn't do much for my skin tone (I'm far too casper, obv), but pairing it with a deep navy or a vibrant purple would definitely make for some eye-catching nail art! 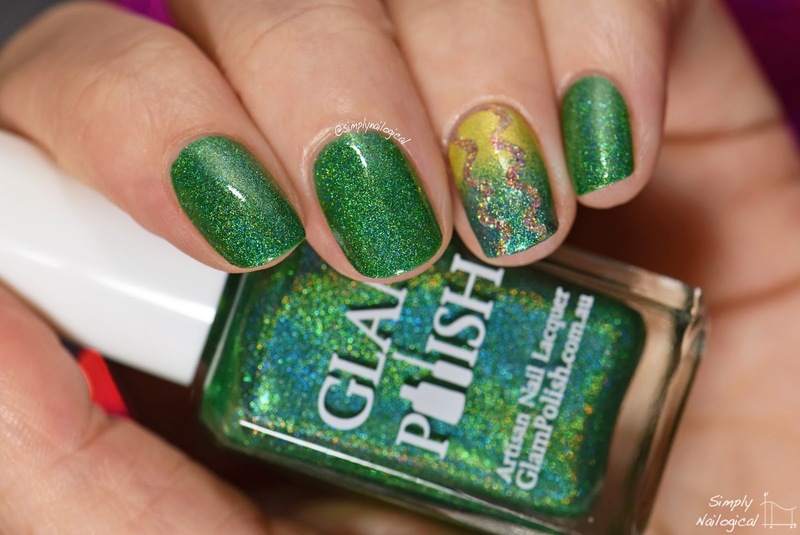 Oooh, now this is more of my kind of colour! 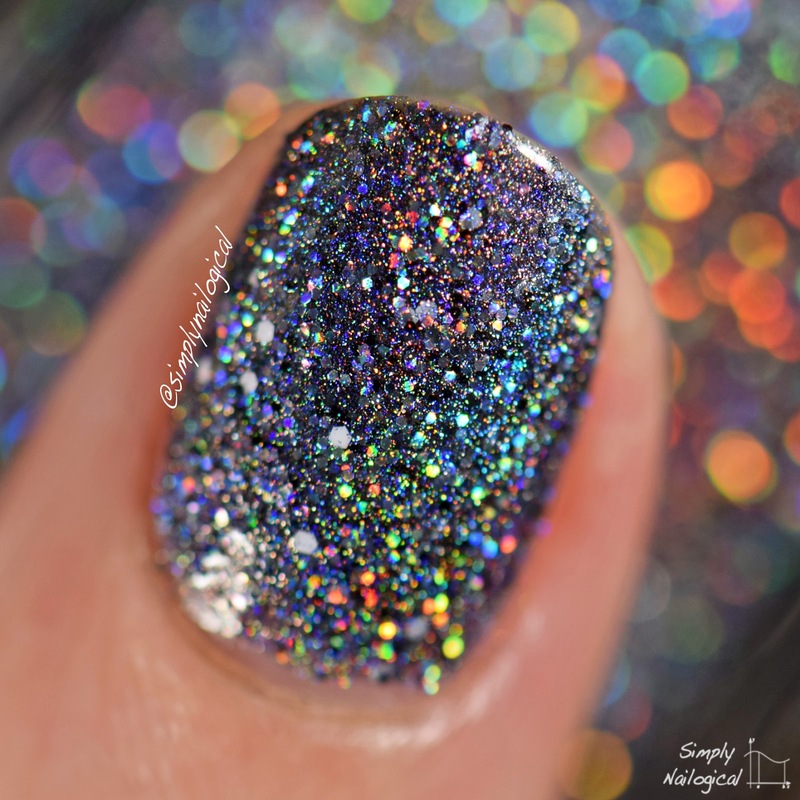 Give me all the dark holo glitters muhahahah. 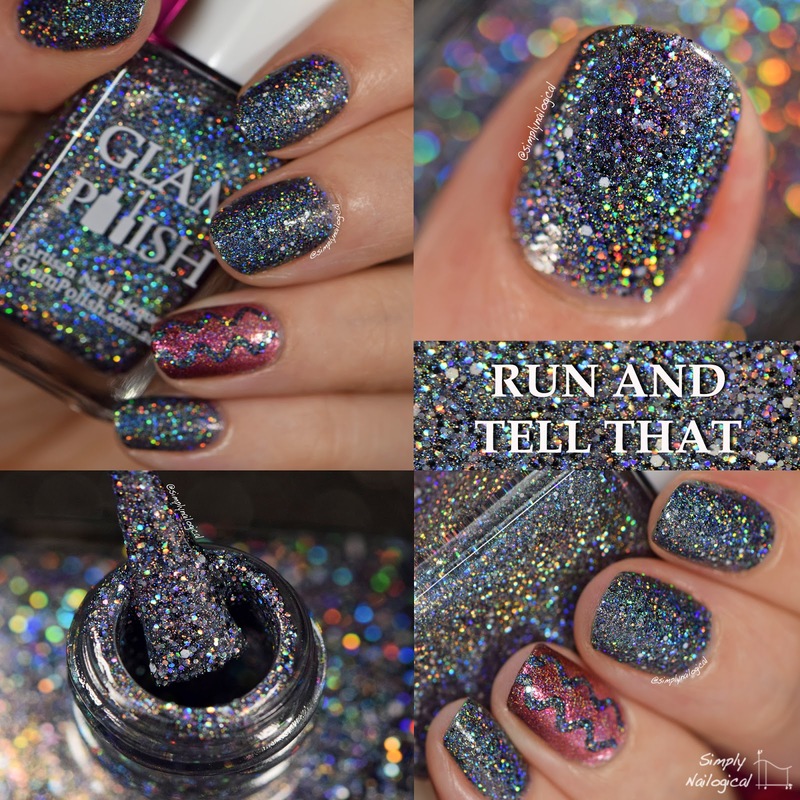 Run and Tell That is a black tinted holo base jam-packed with micro holo silver glitter and a mix black and white microglitter. Phew that's a mouthful! 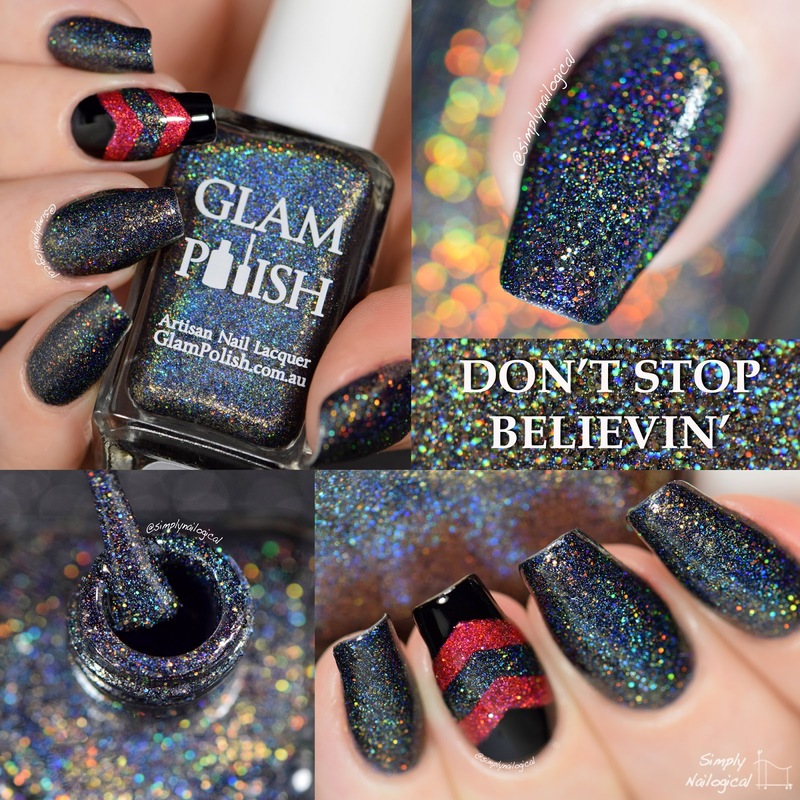 If you saw Glam Polish's Broadway Collection, it's very similar to Don't Stop Believin', but you might say that's the gold-shimmer twin to this silver-shimmer number. 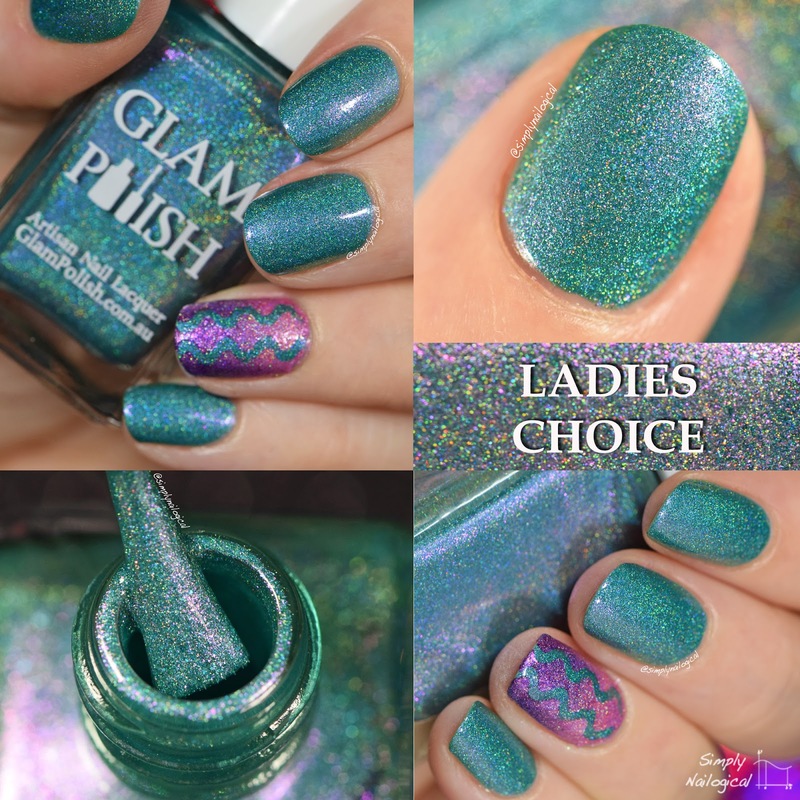 Nevermind Ladies Choice, this godsent aqua turquoise holo with glass flecks and strong pink shimmer is my choice!! This is by far one of my favs in the collection, in fact I couldn't decide between this one and the next purple one because I love them both so much, such unique colours going on here! 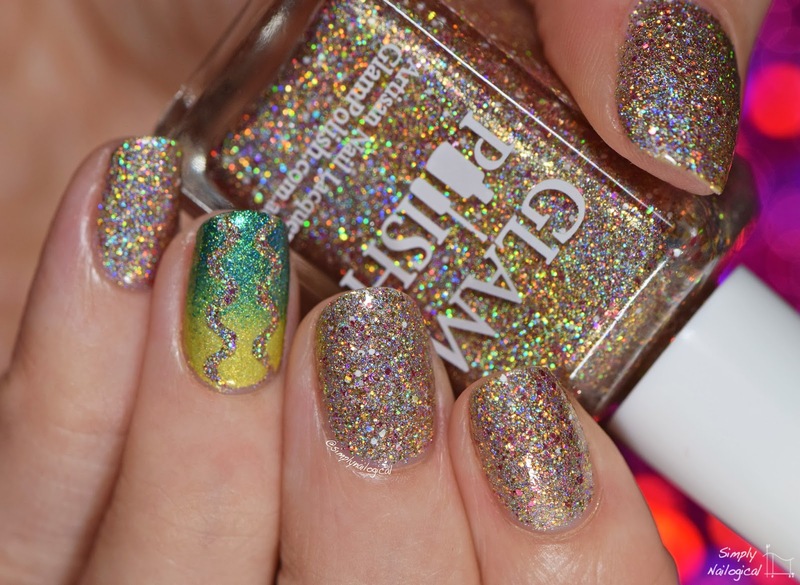 In direct angled light you see the holo rainbow glow, and where the light glare hits the nail the purplish-pink shimmer comes right out!! LOVE. 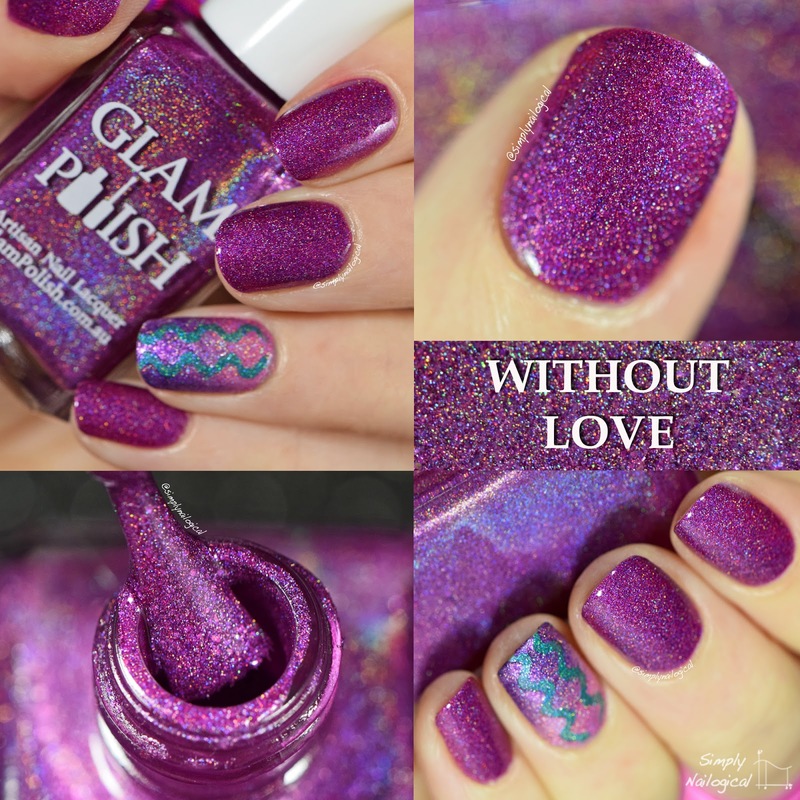 Last and a tie for my personal two favs, this is Without Love, a super rich and vivid fuchsia-magenta-purple holo with purple and rose glass flecks. Gahhhh I love red-toned purples so much. 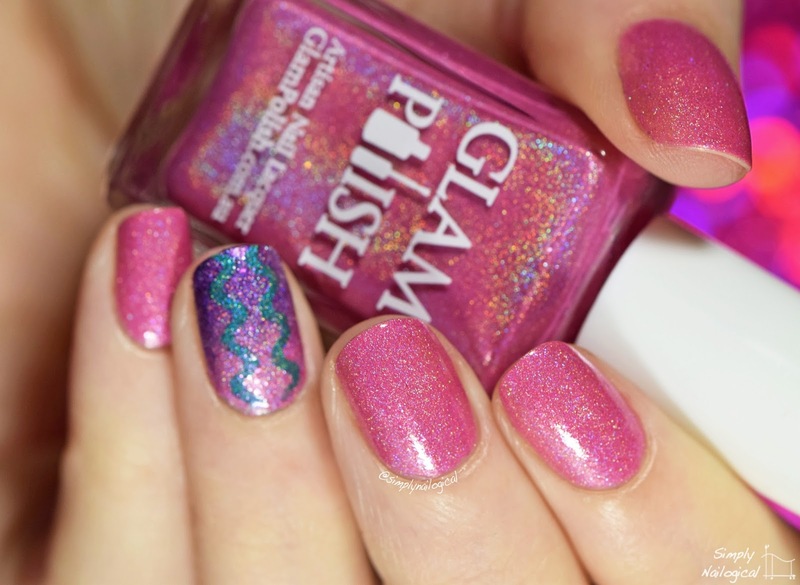 You'll notice the purple tip of this accent nail looks nothing like the magenta hue, but it is in fact a gradient with this polish and the rose pink one in this collection! 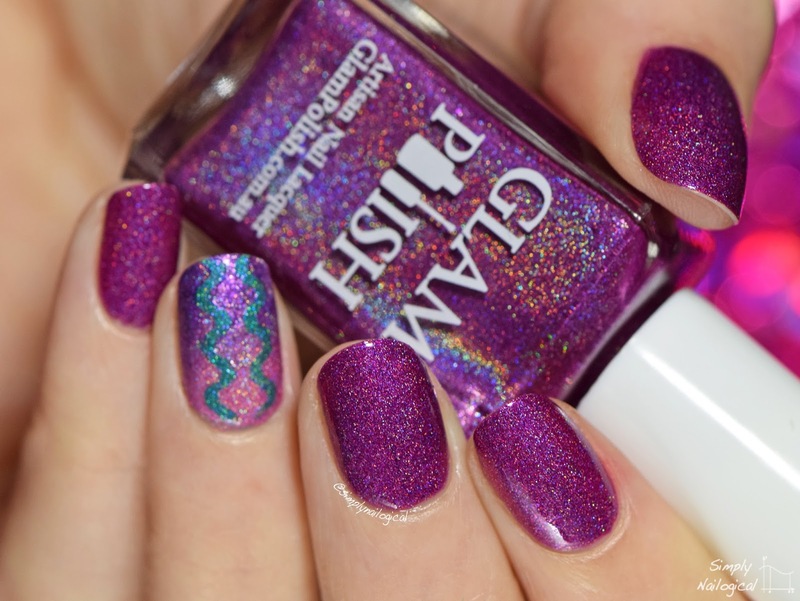 This is essentially what a warm-toned purple looks like layered over a cool-toned pick. The purple was thus transformed to having cool undertones. Cool! And that concludes this 9-piece vibrant collection! 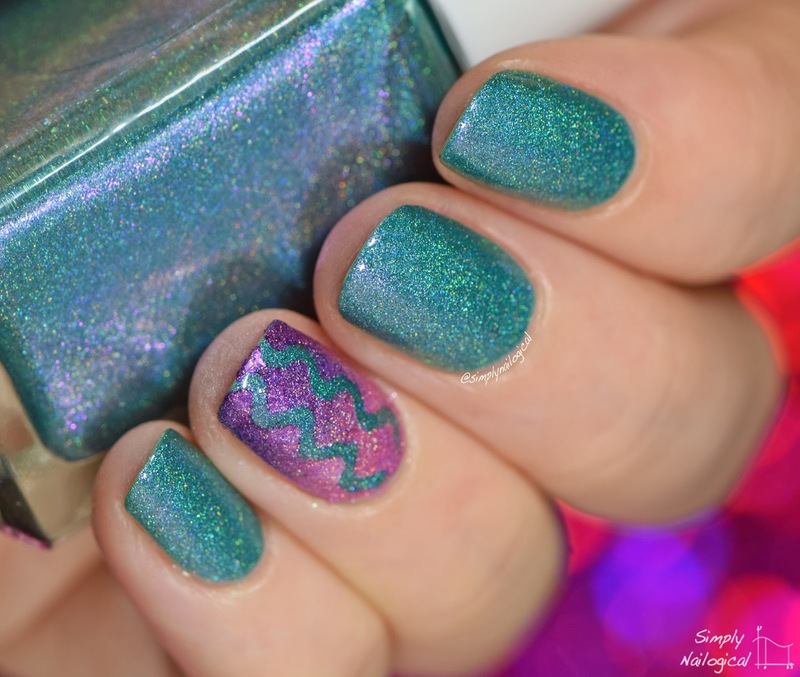 Here's a close up of the three accent nails, all created using wavy squiggle nail guides from Beyond the Nail. 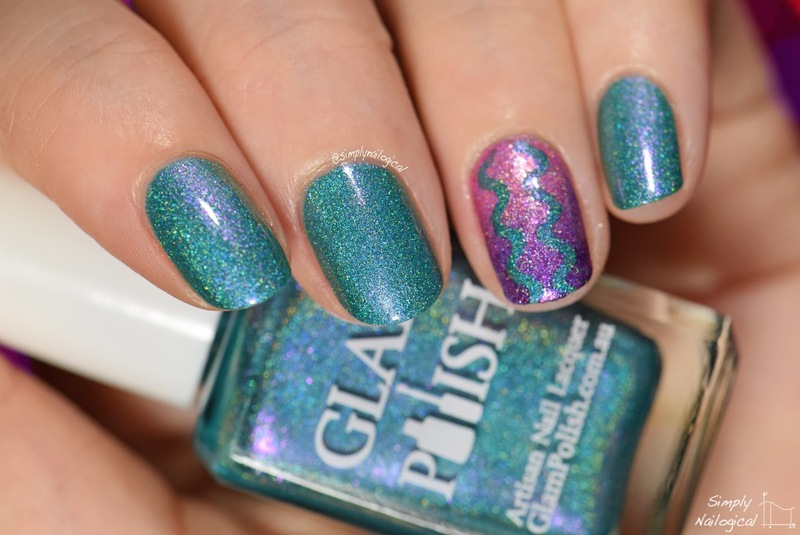 Watch a short video tutorial online here! 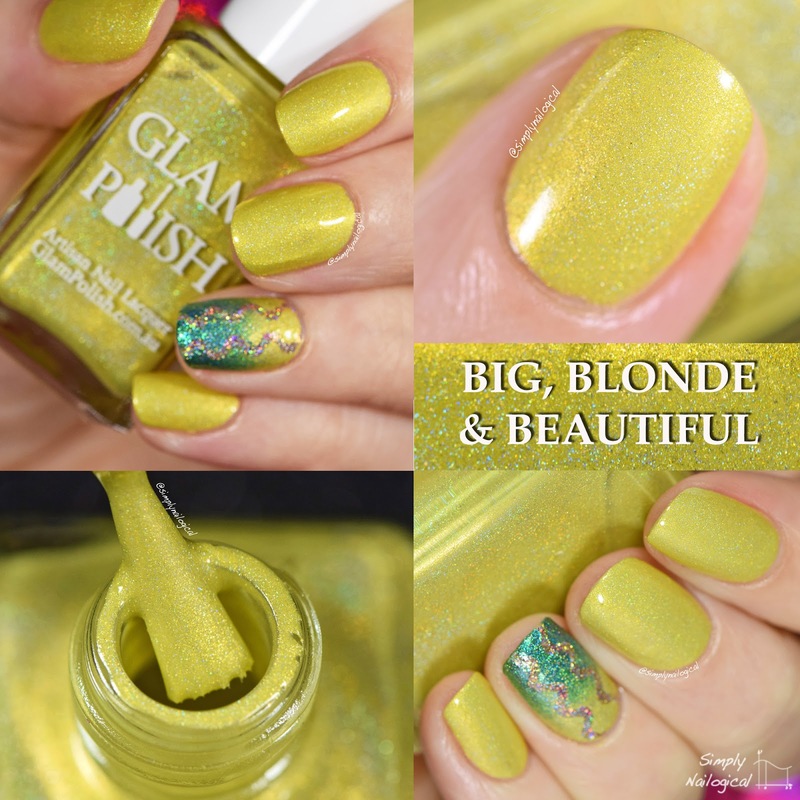 Remeber that this collection is LIMITED EDITION and will be available as of January 8th directly from Glam Polish (in Australia), or one of their international stockists. If you're in Canada or the US be sure to stay tuned for late January when Harlow & Co. gets them in stock! 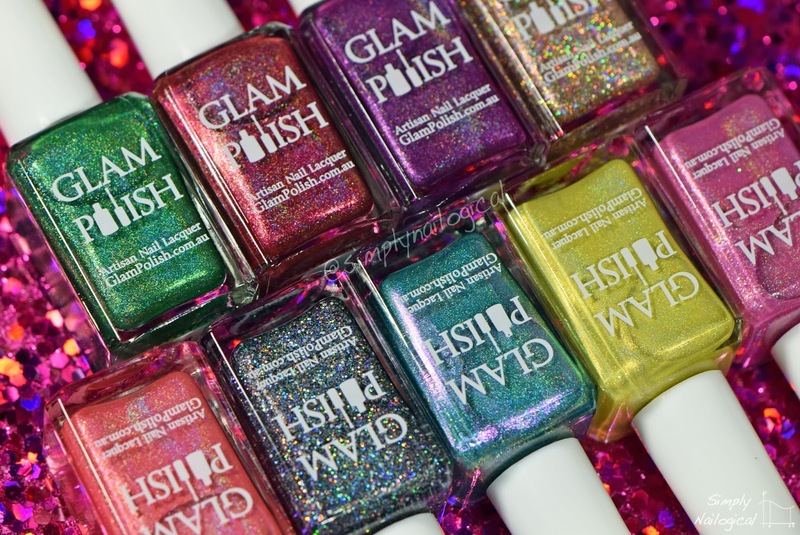 *All polishes were provided by Glam Polish for my impartial review. 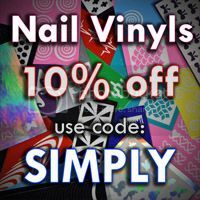 Squiggly nail guides were provided by Beyond the Nail for my impartial review. 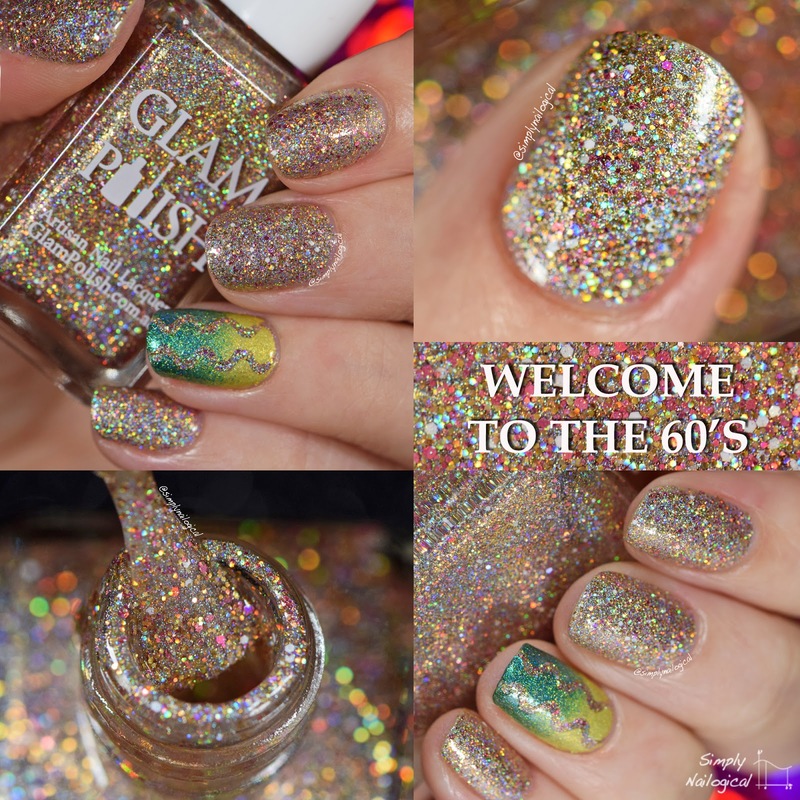 Every swatch I see of Welcome to the 60s convinces me that I need it. Your photos are absolutely incredible! 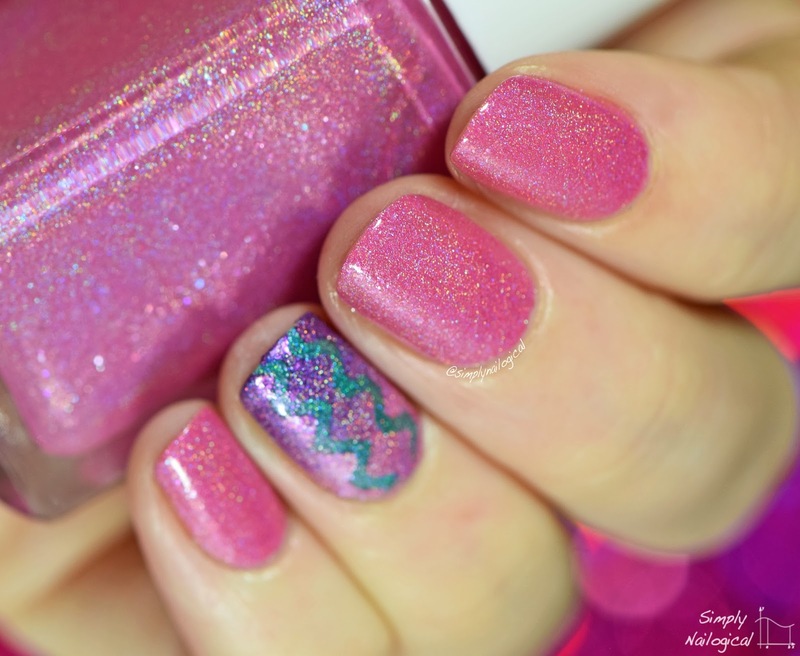 I love this nail length and shape on you! 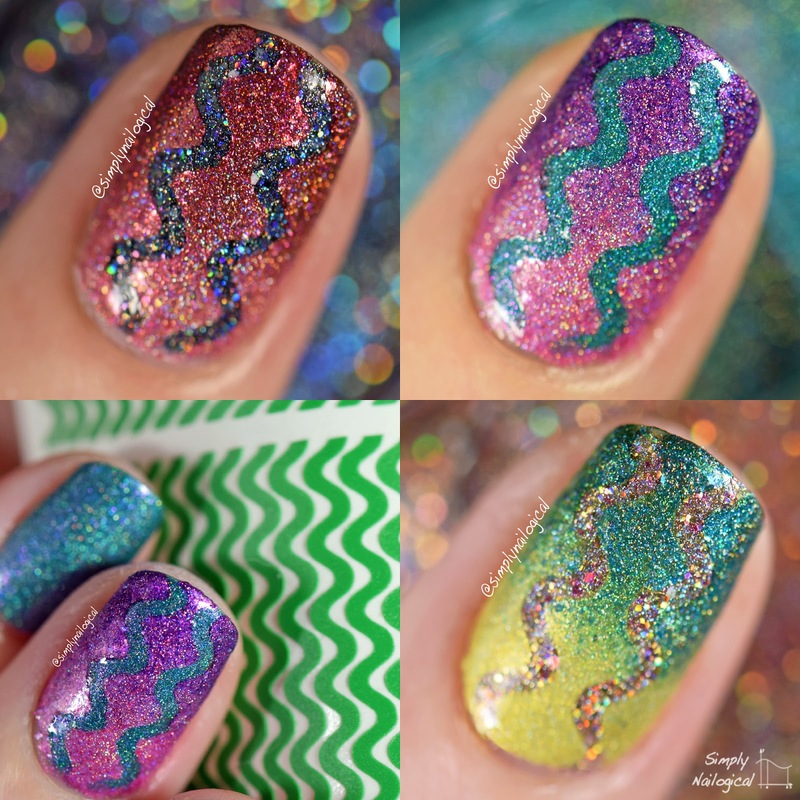 Even more appropriate for a 1960s-themed that needs to be swatched immediately after all, as you definitely want to be there or be square! I love this length on you! Plus the shape is perfect! I know you prefer them longer (they look great then too) just saying they look great this way as well! 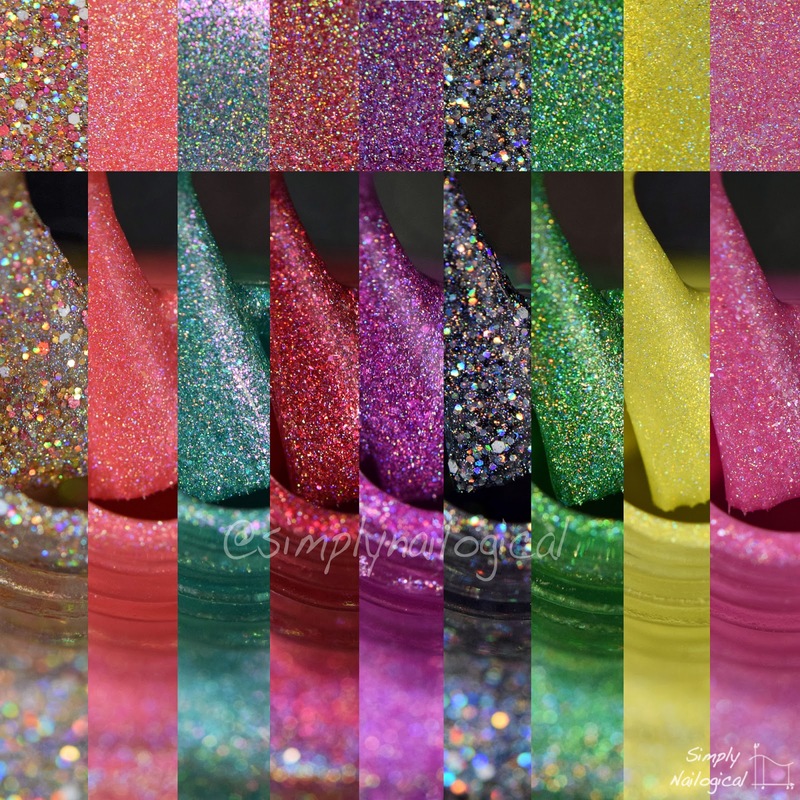 Those colors...kill me now, love them all! This is SUCH a gorgeous collection! 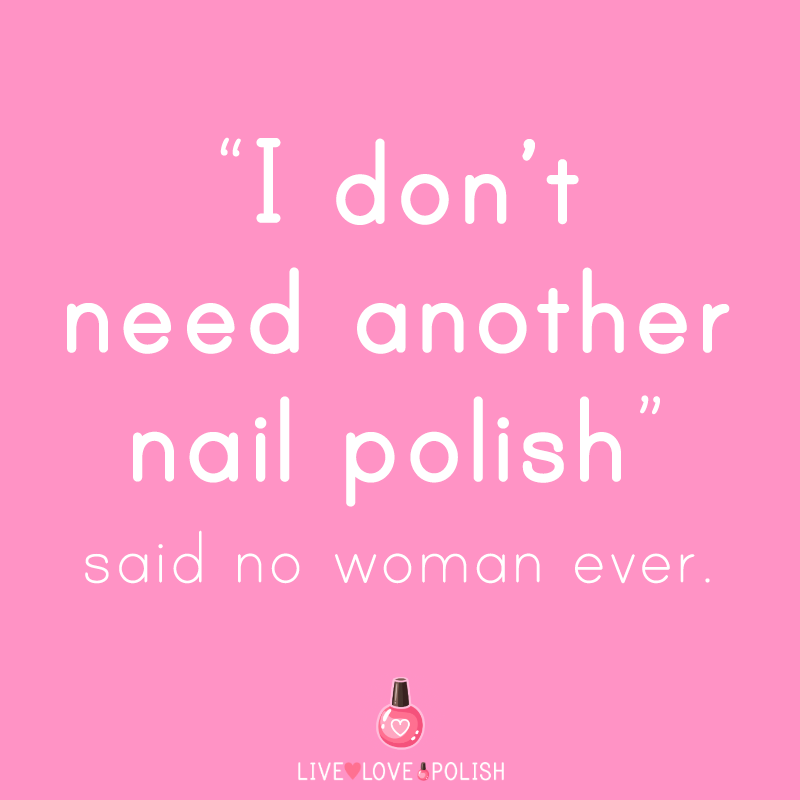 Your swatches are perfect too! 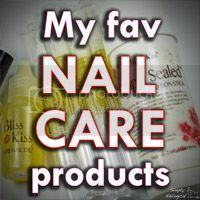 My nails are always peeling, and they look weird and gross when they do that. Why do they do that and how can I prevent it from happening? I love your videos, they always make my day!